Among women with high-risk early breast cancer, the use of tailored dose-dense chemotherapy compared with standard adjuvant chemotherapy did not result in a statistically significant improvement in breast cancer recurrence-free survival, and nonhematologic toxic effects were more frequent in the tailored dose-dense group, according to a study appearing in the November 8 issue of JAMA. Dose-dense therapy, defined as delivery of chemotherapy at shorter intervals without increasing the cumulative dose, has been suggested as a means to improve efficacy of chemotherapy for early breast cancer. 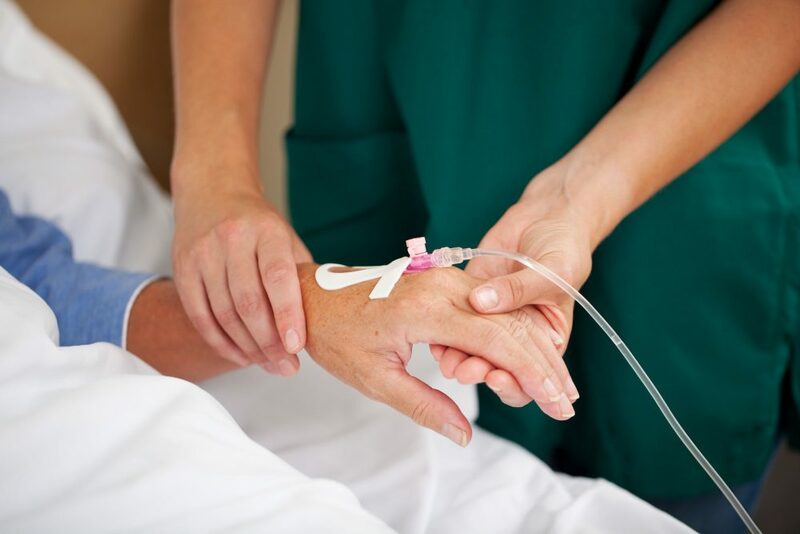 Dosing of most chemotherapy agents is calculated based on body surface area, which leads to large interpatient variability in toxic effects and efficacy. Whether tailored dosing can improve outcomes is unknown, as is the role of dose-dense adjuvant chemotherapy. Jonas Bergh, M.D., of the Karolinska Institutet and University Hospital, Stockholm, Sweden, and colleagues randomly assigned 2,017 women who had surgery for nonmetastatic node-positive or high-risk node-negative breast cancer to receive tailored dose-dense adjuvant chemotherapy (n = 1,006) or standard chemotherapy (n = 1,011). The study was conducted at 86 sites in Sweden, Germany, and Austria. Among the randomized patients, 2,000 received study treatment (at least 1 cycle of chemotherapy). Median follow-up time was 5.3 years. The researchers found that the groups did not differ in 5-year breast cancer recurrence-free survival (89 percent [tailored dose-dense group] vs 85 percent [control group]), 5-year overall survival (92 percent vs 90 percent) or 5-year distant disease-free survival (89 percent vs 87 percent). The tailored dose-dense group had significantly better event-free survival (EFS) than the control group (5-year EFS, 87 percent vs 82 percent). Grade 3 or 4 nonhematologic toxic effects occurred in 527 (53 percent) in the tailored dose-dense group and 366 (37 percent) in the control group. The authors write that an individual patient data meta-analysis would help to assess whether chemotherapy dose intensification in early breast cancer should be reserved for specific subgroups of patients.